​Perched on a hilltop and gift-wrapped by a fortified wall, approaching Obidos is like being in a dream. Suddenly, you're on cobbled streets and in curving alleyways that pull you into a search for goblins and princesses and fairy tale windows. ​Wafting whips of chocolate and the hint of Ginja tickle your nose and you are pulled further into a world of fantasy. 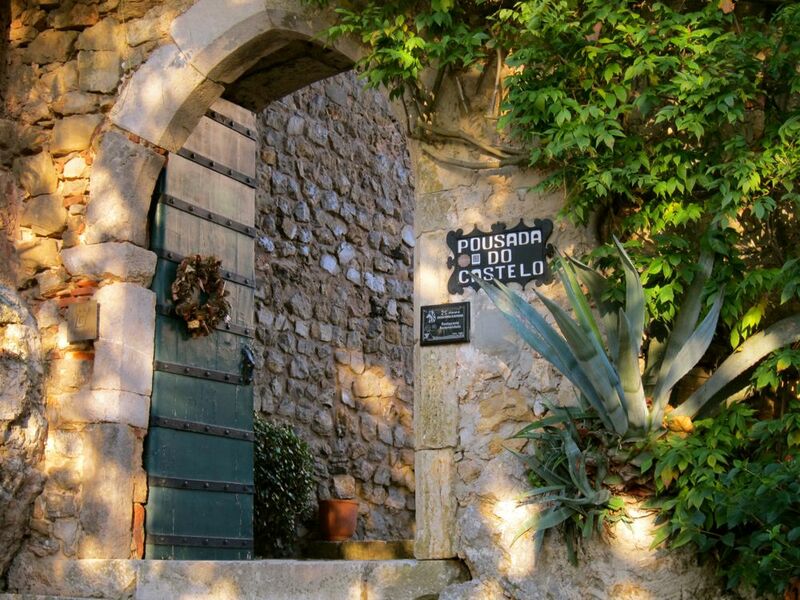 Entering the Village through the main gate, Porta da Vila, you are immediately confronted with the ceiling teased in 18th century blue tiles telling stories and hinting in colour and image of what lies ahead. Obidos has poked its whimsical nose into the text of history for at least 3000 years. Said to have been inhabited since late Paleolithic times, this region was later settled by Celts and even later the Phoenicians. The Romans declared the site to be Eburobrittium and capitalized on its hilltop security. The Visigoths conquered the region after the great Roman retreat and they, in their turn, were followed by the Moors in the 8th and 9th centuries. In 1148, the first King of Portugal, Afonso Henriques, began the long process of recovering Portugal for the Crown and eventually, either converting the Moors or pushing them out. ​But the gifting of Obidos to Queen Urraca in 1210 by King Alfonso II ensured Obidos' place in romantic history. Since then, the town came to be known as Vila das Rainhas, Town of the Queens. Obidos welcomed us for the fete natal highlight in the annual calendar. The crowds were well beyond the usual busloads of trudging day trippers from Lisbon and the majority were school children come for the day to enjoy the Christmas festival. Their teachers had clearly threatened them with evil outcomes if they let go of the ropes and in their assorted hats weighed down by lunch boxes, burdened with mother crafted lunches, they squealed happily in anticipation of a fun filled day. An open area near the city wall and Castle was set aside as the fair ground. Locals in elegant medieval dress and jester costumes ensured the fairy tale image and knew how to pose for selfies with the kids. One merchant had a dozen eagles and hawks and harriers and owls. perched on leather covered wrists and stands for photos. These were all for sale but not to the children. ​In the corners of the field were groups of the school escapees with painted faces and already plundered lunch boxes. A few were already prone, already overcome with excitement, candy and sandwiches. Around them were magic performances, jugglers, puppets, and the full range of medieval hi-jinks.In the centre like a crown on a queen's head was Santa's house handing out fear to those who have misbehaved all year. Christmas songs filled the air and for us who had for years been in countries where Christmas was a working day, this is just so much fun. The Christmas spirit transformed Obidos into a Disney-like fantasy and lifted the hearts of the kids and the vintage wayfarers as well. In the street beyond the fairgrounds were groups of older students in medieval attire dancing and singing and making the day special. ​The whole town was like a centuries old vision of the wretched miniature New England villages that are the fascinations of some collectors. The feeling of being a time traveller was very strange indeed. Christmas decorations and displays were everywhere as the residents of Obidos did their best to make the gift to the Queen a very special place at this time of year. One store drew us in with its display of hand painted tiles featuring 17th century peasants getting about their daily business. ​We stayed for 3 nights with the commitment that once you're here, the only place to stay is in the Castle. The Pousada de Obidos is inside and it has been gorgeously refurbished with the help of government to show off the history of the Queen's gift. It has the best view of the Village and if you’re young and nimble, the Pousadas' rooms in the fortress are perfect. It is an old castle so there are some compromises that favour the 17th century rather than a Hyatt, but you’ll have a taste of what it was like to live as a King. ​We are vintage so the Pousada understood our state and gave us a bigger room with a fireplace and a service lift. Needless to say, the service was superb and the well-informed staff really went out of their way to fill us in on Obidos history and treasures. 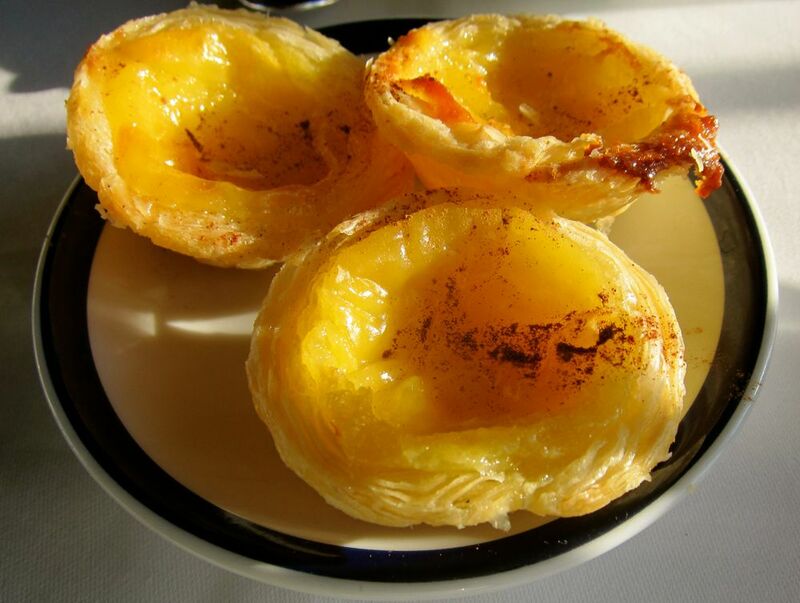 ​One breakfast, the waiter of the day, heated some Nate de Pasteis and made us coffee with cinnamon. A lovely touch. Another time, we left the lights on in our car and they went to our room, asked for the key and fixed the problem. ​There are other places to stay inside the village and restaurants line the main street and in almost every corner, you can have a shot of Ginja in a chocolate cup. Go for it. It's worthwhile. But watch it, stumbling Seniors are sometimes mistaken for the gnarled gnomes and driven out. ​Like any tourist village, souvenirs are hung outside every store decorating the fortress like wall along the streets with beautiful tiles, multicoloured scarves, and leather work that are really worth looking over. Given the great history of tiles in Portugal, covering whole buildings in many towns, these seemed to be a perfect memento to take home. The owner showed us many vintage historic tiles which they had collected and priced to make the newer tiles seem a bargain. ​The shop had originally been a wine press and all the mechanism for this function were still in place. The negotiations for the tiles has the same pattern that formed the heart of bartering for thousands of years and while we don't have the skills of American Pickers, we won our spurs in the markets of Asia. We discovered hidden behind a vine covered garden a little atelier where the tiler does her own work and will chat about the history of her patterns. Tiles are made the same way they have been made over the centuries and are painted with traditional Portuguese patterns and images you can find in most villages in Southern Portugal. We got a Portuguese rooster, the national symbol. 1. Go in and light a candle in the Church of the Assumption in the middle of the village and pray for your special intention, your friends and family, for peace in the world, or forgiveness for having hit the Ginja too hard. 2. Rent an electric mini-car and have lunch in the Lagoon de Obidos. 3. Lunch at the Pousada Hotel and enjoy the best view of the village and the countryside. 4. Experiment with a range of Ports. 5. Sit al fresco on the main street and assess other tourists as they poke and prod the goods in the stores. Medieval Festival (July). Obidos recreates the medieval spirit around the Castle with heraldic banners, traditional market, minstrels, jesters, medieval crafts, medieval plays, jousting knights, costume parade and armed combats. Roasted hog, rabbit, lamb, quail, sausages and hearty soups eaten from wooden trenchers and taken with filled pewter tankards are the bill of fare. The International Festival of Chocolate (16 April-3 May). You can't miss this one especially if you have a chocolate addiction. You can O. D. on a full range of local candies. Kids will have a feast especially with the Chocolate House. You can also take a cooking class and bring a taste of Obidos home with you. ​The fairies of Obidos picked us for the perfect parking spot in front of the Castle so we did not move the car an inch for 3 days. What a great decision. We were able to take our time to poke into nooks and crannies and grottoes. It is like being transported to medieval times with only the fouler odours of old villages missing. Going down narrow alleys my husband would peek around corners fearing goblins and committed Inquisition monks. He started looking for an elf suit for disguise. Sometimes, he is an idiot.